Bluegrass music has developed at different speeds around Europe, depending largely on the local folk music tradition and the country's exposure to American influences, mainly through the American Forces Network radio playing in areas where US troops were stationed after WWII. ​Wherever it takes hold, it integrates some local influences, and you can find them all in the diversity of Bluegrass styles to be heard at La Roche Bluegrass Festival. As one would expect, the music is widely known and played in the United Kingdom, where the British Bluegrass Music Association (BBMA) is probably the best organised on the continent. Indeed Bill Monroe's ancestors hailed from Scotland, and Scottish traditional music is one of the major forces behind the genus of the genre. Likewise in Ireland where Bluegrass and Irish music live side by side with influences moving back and forth. One of the most successful projects of the 2000s has been the Transatlantic Sessions, produced by BBC TV, where Jerry Douglas, Russ Barenburg and Tim O'Brien (USA) team up with Aly Bain (Scotland) to bring together world class musicians from both sides of the Atlantic to play and record together, showing how closely tied the musical influences are. Curiously, the epicentre of European Bluegrass music seems to be in the Czech Republic and Slovakia, where their own style of traditional folk music, called Tramp Music, has many similarities. The story was recently told in a film "Banjo Romanticka" by Dr Lee Bidgood of East Tennesse State University (see YouTube introductory clip in box). In the mid 1990s Paolo Dettwiler, from Switzerland, called an international group of people together in a drive to organise Bluegrass on a pan-European scale by creating the European Bluegrass Network, which later became the European Bluegrass Music Assocation (EBMA). 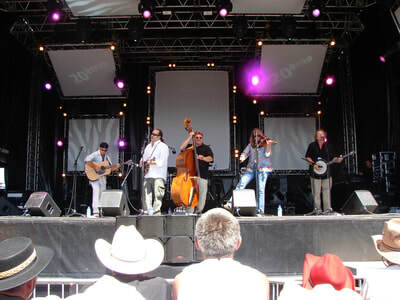 Paolo and his team launched their first festival and trade show (EWOB - European World of Bluegrass) in Voorthuisen, Netherlands in 1998 to emulate the IBMA WOB. In 2002, Dennis Schutt left the board and set up a second EWOB in the Czech Republic and then Germany. 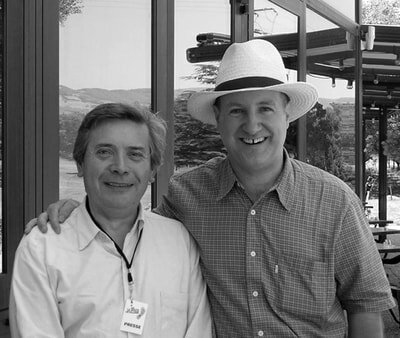 In 2005, Dennis asked Christopher Howard-Williams if he could host the festival in France and La Roche Bluegrass Festival was born. The EWOB festival in Voorthuisen continued for 20 years and is relaunching in 2018, with a new team in charge. EBMA had existential difficulties from the start as individuals, national associations and even board members found it difficult to identify a role for the association on a pan-European level. There is no doubt that more international ties have been created and strengthened, within Europe and with the USA, as a result of its initiatives and it's very existence has been a great help in allowing EWOB and La Roche Bluegrass Festival to develop. A new board was voted in in 2014. They have scaled down some of its more ambitious objectives, focusing on the role of facilitating cross-border relations and communications. Like many countries, in the early days Bluegrass in France was largely a concern for individual enthusiasts. 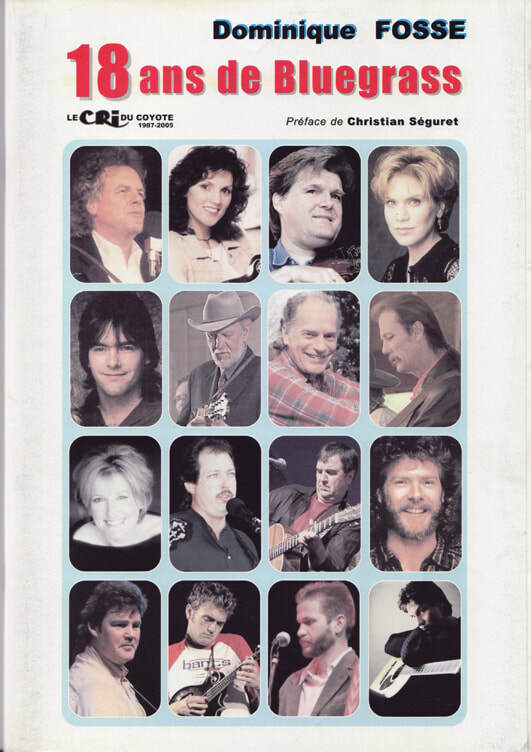 Eveyrone interested in Bluegrass music knew everyone else and networks grew up around now legendary places in Paris such as the music store Quincampoix ("le folk c'est Quincampoix"), the American Cultural Centre, Lutherie Charles. There was, at this early stage, no need for a national infrastructure to support the music. There were also opportunities to play. 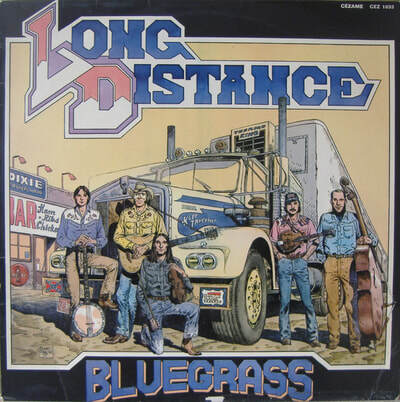 Some of the early French bands in the 1970s, such as Blue Grass Long Distance or Transatlantic, featured excellent musicians, who toured the USA, played on TV and are still considered the benchmark in terms of creativity and musicianship for many French bands today. 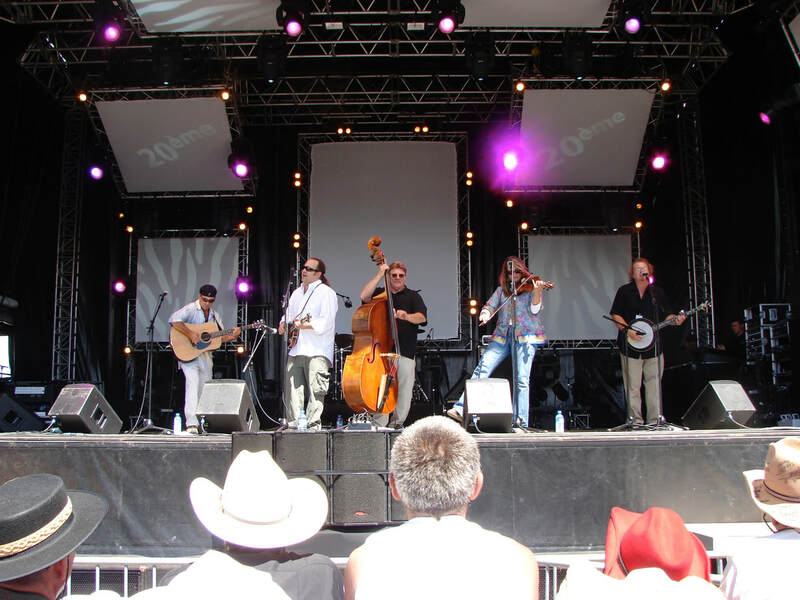 The good news is that, with the renewed growth of Bluegrass music in France, many of these early pioneers are playing again, forming bands and returning to live performances. 1982 - Joel Herbach, after launching Back-up, a glossy magazine about Bluegrass, organised the first Toulouse Bluegrass Festival, which put France firmly on the Bluegrass map in Europe and, even the USA. 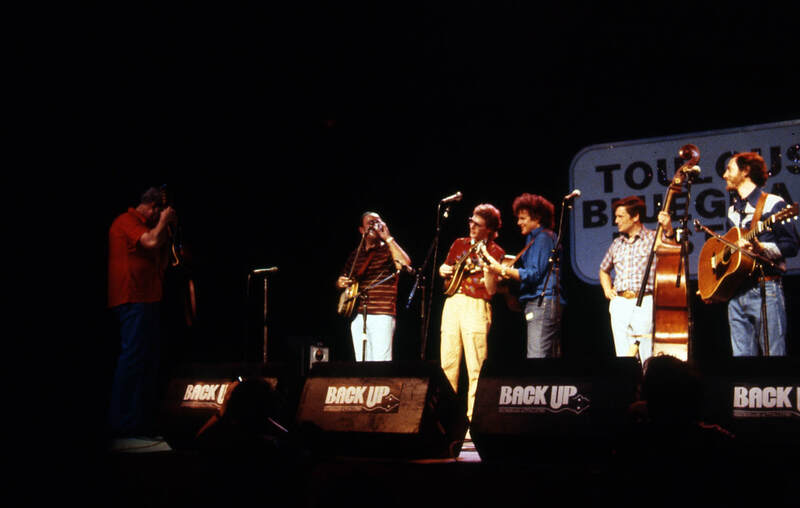 Top European and American bands played, including New Grass Revival, Peter Rowan and Seldom Scene (see article on previous page about Bluegrass). The festival lasted only for 3 years. 1987 - Launch of a new fanzine called Le Cri du Coyote. Only available on subscription, it is without doubt the best magazine in France (probably in Europe) covering the full range of American Roots Music. Its Bluegrass component by Dominique Fosse is first class. Dominique represents France on the band contest panel of La Roche Bluegrass Festival. 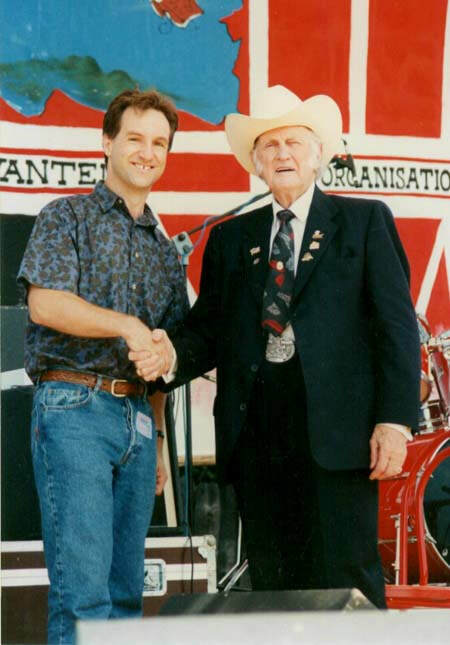 1996 - Creation of France Bluegrass Music Association (FBMA) under the initiative of French Bluegrass stalwart, Jean-Marie Redon, and its newsletter. FBMA is going stronger than ever and several regional associations and events have also been created under its tutelage in the last 5 years. 1996 - Bluegrass invited to take part in the "Trad en Fête" weekend at La Grange Rouge cultural association in Burgundy (literally The Red Barn, see photo). 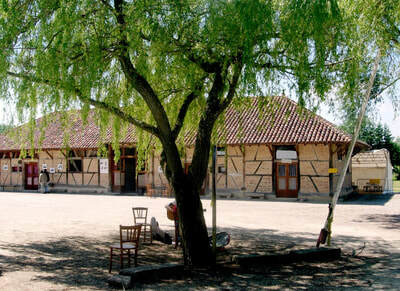 This French Folk music meet started in 1982 and is still running. Bluegrass was an integral part of the weekend for 20 years and a major meeting point for Bluegrass enthusiasts from all over the country. ​1998 - 1st national Bluegrass meeting held in Chilleurs au Bois, before moving to St Vincent sur Oust in Brittany and then to Neuvy sur Barangeon. This event went on to become FBMA's Spring Bluegrass Weekend in Vichy in 2008, where it continues to this day. 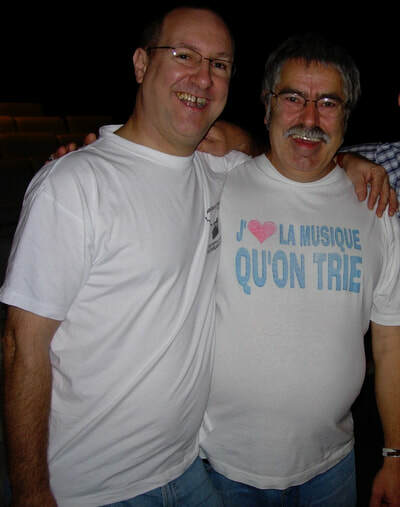 ​2002 - 1st FBMA Winter Bluegrass Weekend at Vichy, hosted by Jean-François Tronelle. Still an annueal event.